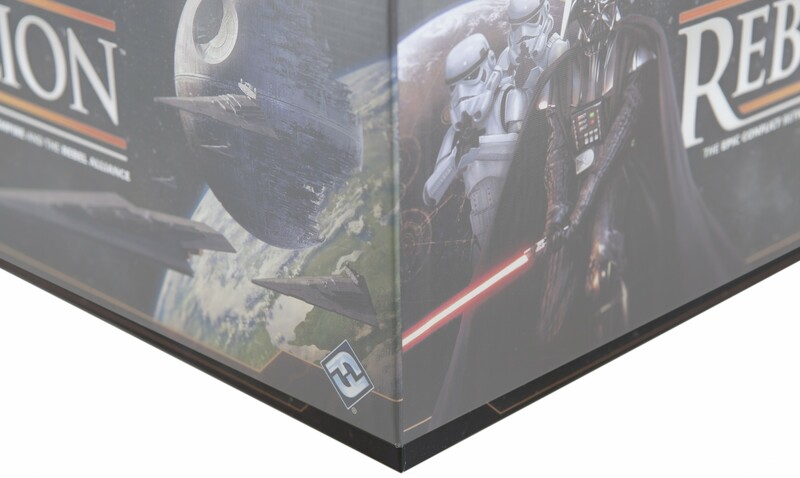 Value set for Star Wars Rebellion the board game. 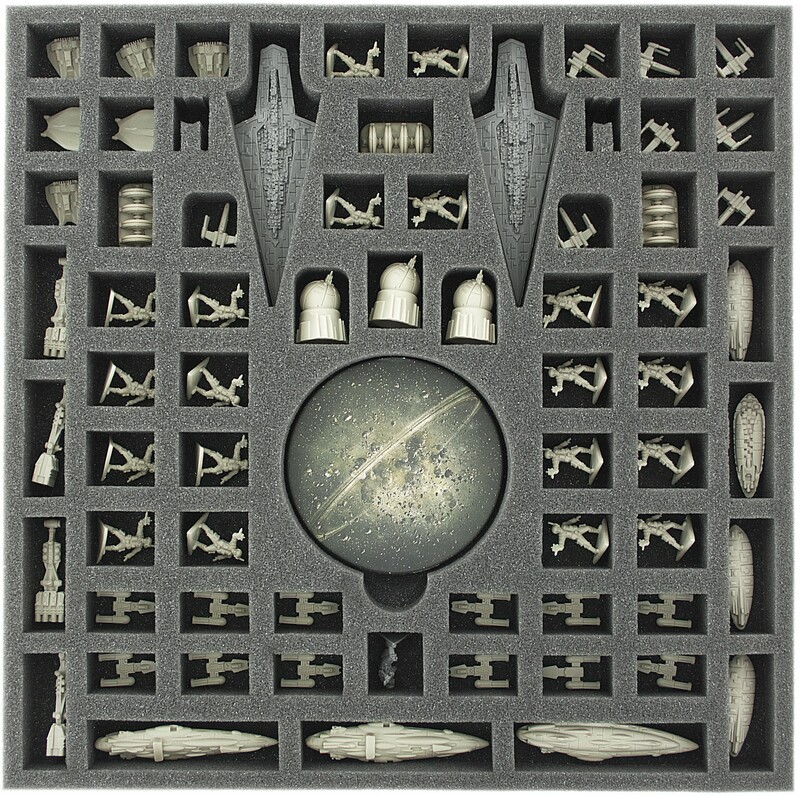 3 Layers - 166 compartments! 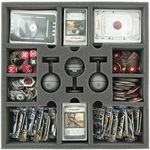 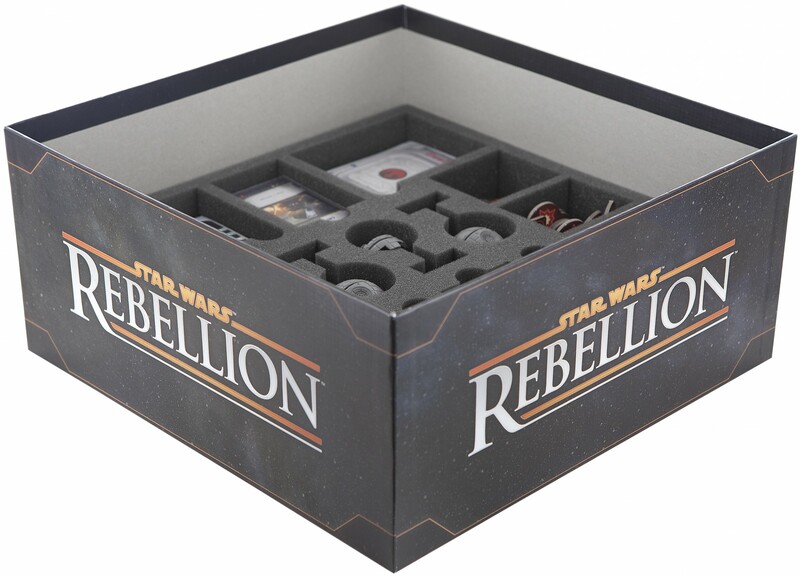 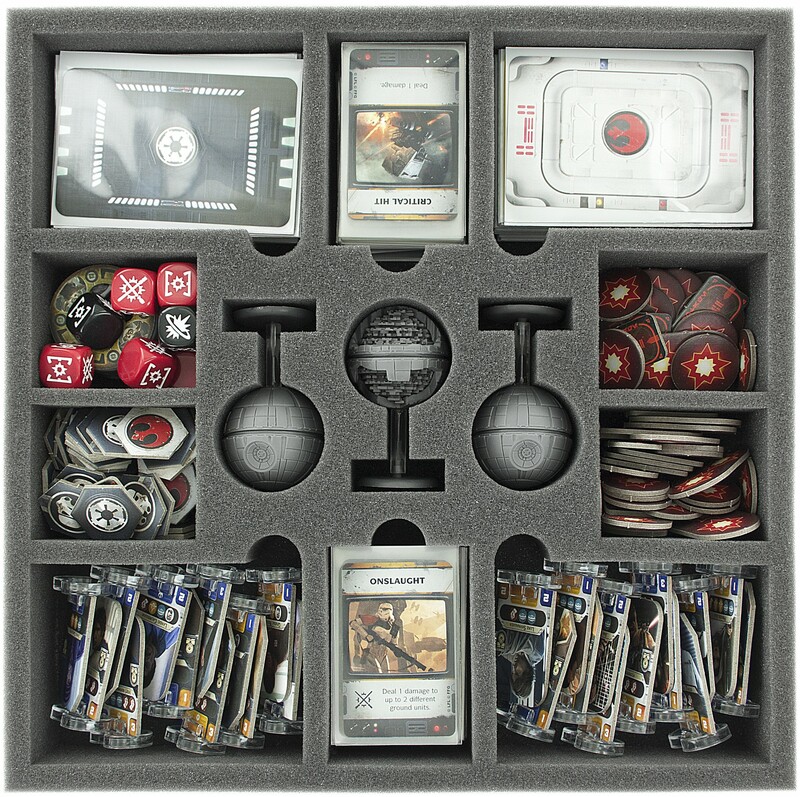 The set can accommodate from the entire Rebellion boardgame box miniatures and the game material. 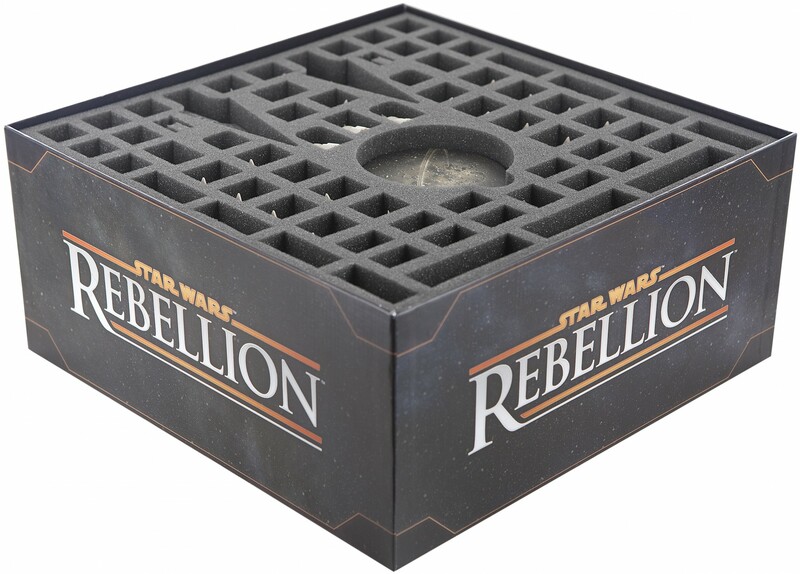 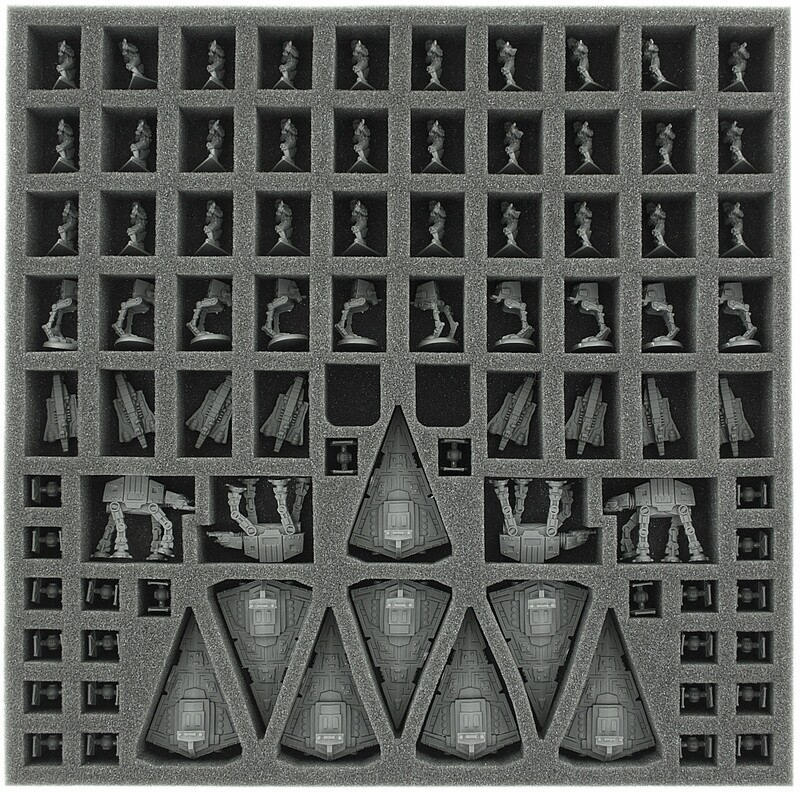 The pictures are showing the state when the foam trays are in the box and the game board is under the foam! 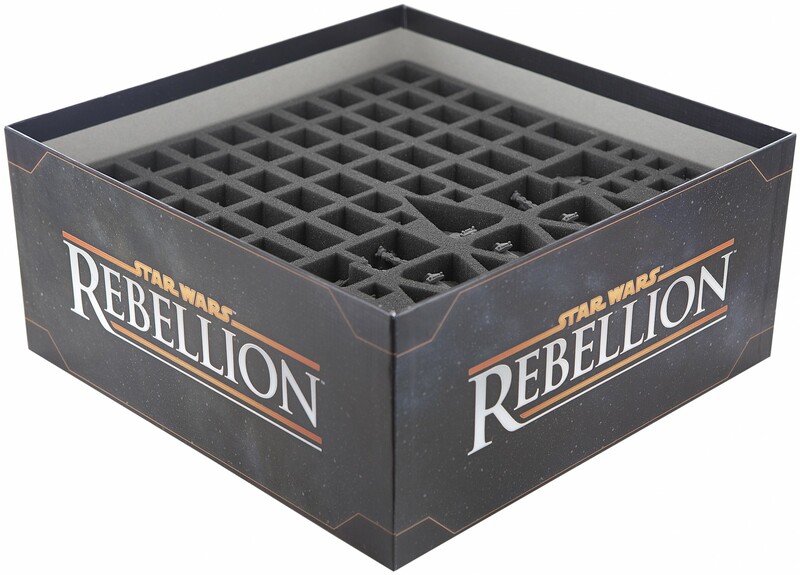 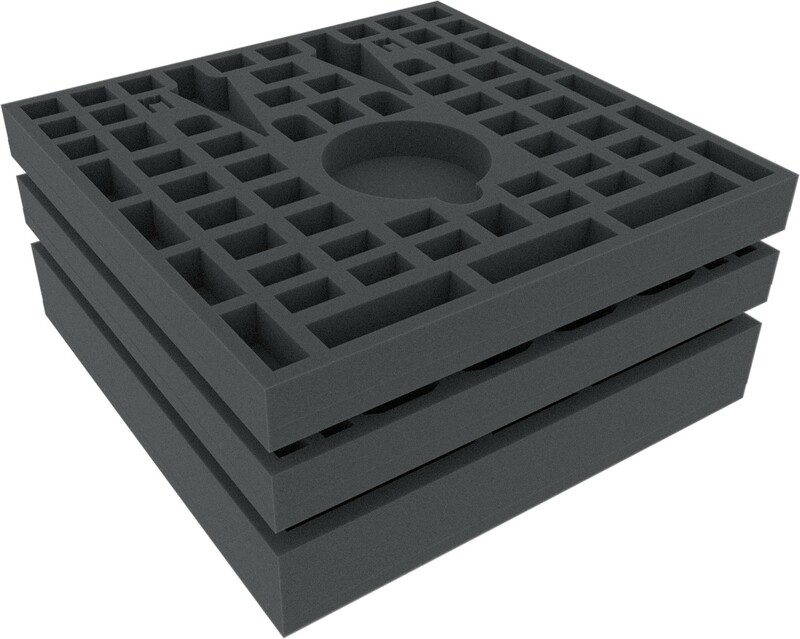 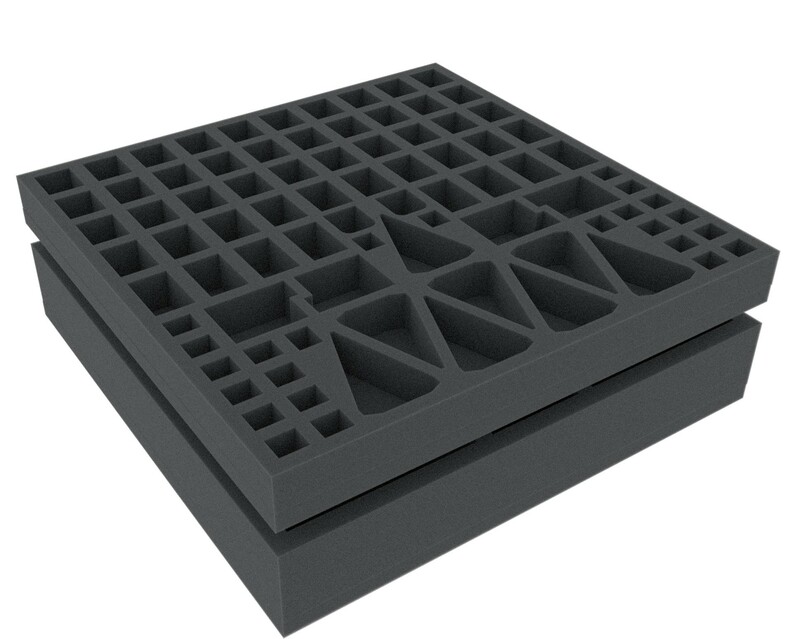 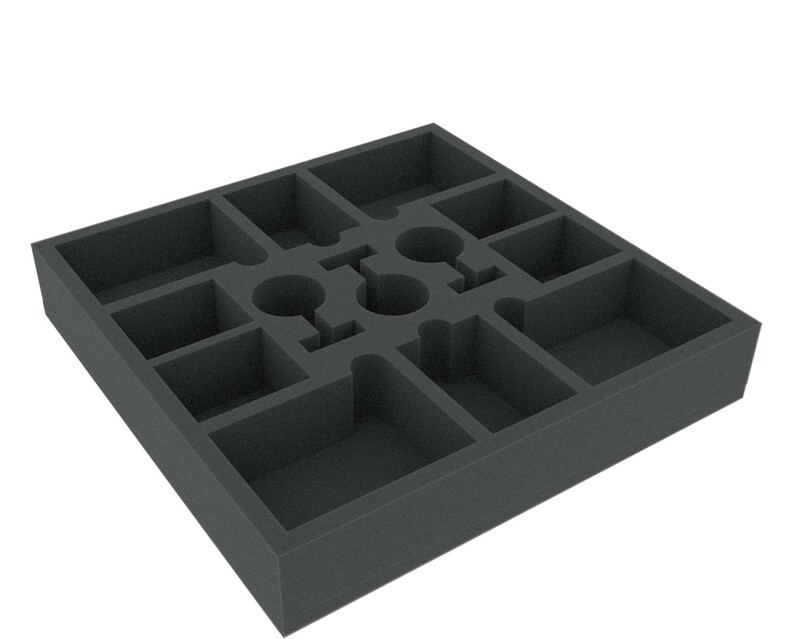 The 50 mm tray offers 13 compartments.